It’s nothing like you’ve expected. Ghost in the Sheet is a comedy adventure game of supernatural proportions. you embark on an adventure to an abandoned factory with the goal of finding out what happened here. 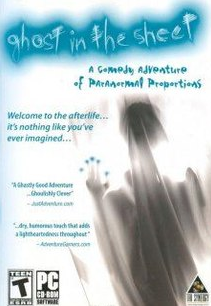 Become a ghost and master your new paranormal skill set to unravel the secrets of your life-after-death adventure! Mystery, intrigue, comedy and adventure await, aren’t you just dying to play? a young girl struggling with a mental disorder and an unfair destiny. Nuclear war, post apocalypse, barren and lifeless wastelands. Mutated insects have made their home in a bomb shelter and they’re set on exploring the world. 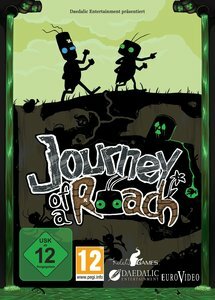 and join the roaches Jim and Bud on their journey to the surface. Find yourself in an unfamiliar room with no memory of how you got there. Explore a mysterious house and the surrounding moors. Solve puzzles, hunt for clues, unearth dark secrets and find the answer. 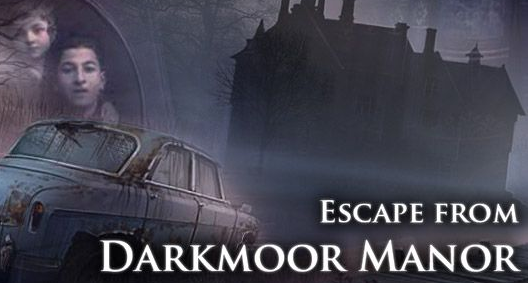 Can you Escape from Darkmoor Manor? a knack for improvisation and the help of a shady fox she just makes her way. The world of author Dane Krams’ debut on the game development stage isn’t as cuddly as it may seem. Anna however, is actually perfectly nice – or is she? 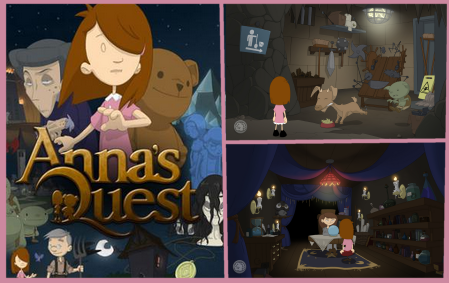 Anna’s Quest unfolds a hand-drawn, grim tale with a good dash of self-irony.